What’s the best safe nonstick cookware? I’m worried about whether or not I should still be using my nonstick frying pan. I don’t want to throw it away but I don’t want to be eating Teflon either! This fall, after eight (eight!!) years of service, my All-Clad nonstick pan was ready to fry its last egg. Though I had given it a good, coddled life—no metal utensils, no dishwasher, no oven, no high heat, no heating “dry” without” oil—the nonstick finish had deteriorated to a scraped, faded shell of its former self. It was time to say goodbye to the chemical coating and really commit to using a safe nonstick pan: one with a natural finish that I wouldn’t need to replace every decade. 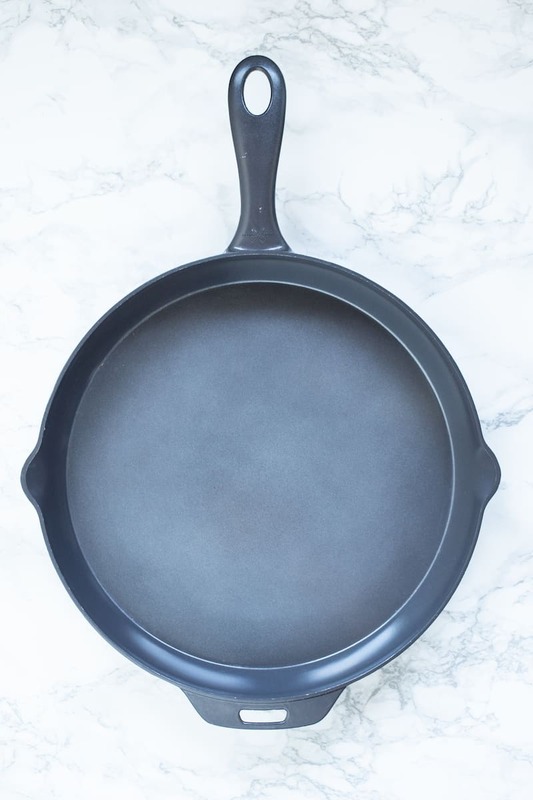 The biggest considerations in moving from a chemical-coated nonstick pan (or skillet, or whatever you want to call it) to a version with a more natural finish are how much time and effort you want to put into creating and maintaining that finish. All of the below recommendations are stove- and oven-safe, and most importantly, they’re all Teflon, PTFE, and PFOA-free. You can cook safe with these and keep them for the rest of your life. As I’ve discussed at length in my post on seasoning and cleaning cast iron skillets, the versatility of plain old cast iron is unparalleled and is always my first choice for any kitchen cookware. 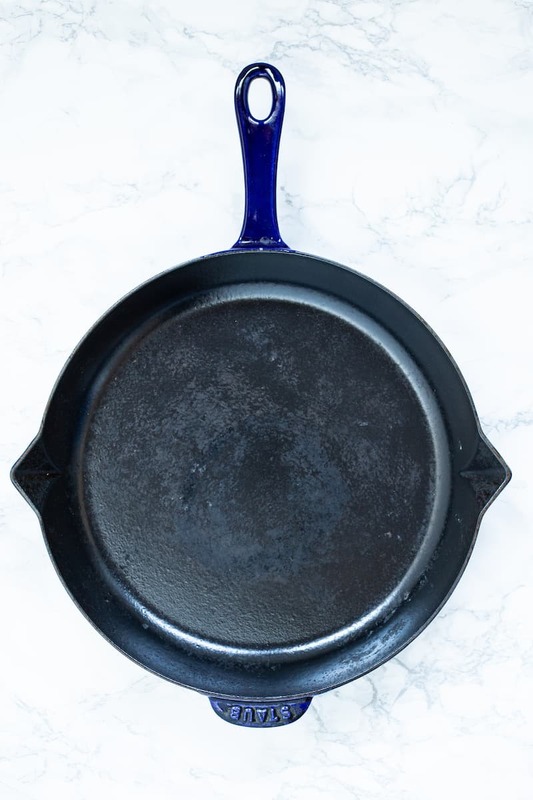 The main difference between regular cast iron and enameled cast iron (mentioned below) is the amount of time it takes to build up the perfect nonstick finish. But a true nonstick finish won’t come until you’ve repeatedly heated the pan and let oil soak into its porous surface, turning the rough initial finish into a smooth, glossy sheen. Want to kickstart this process? Take your cast iron to the steak spa! Pan-roast a big, juicy steak with a knob of butter in your skillet and baste the meat with the butter and juices until it’s cooked to your liking. I know, it’s a hardship to bear, but after that meal, your pan will look better than ever. 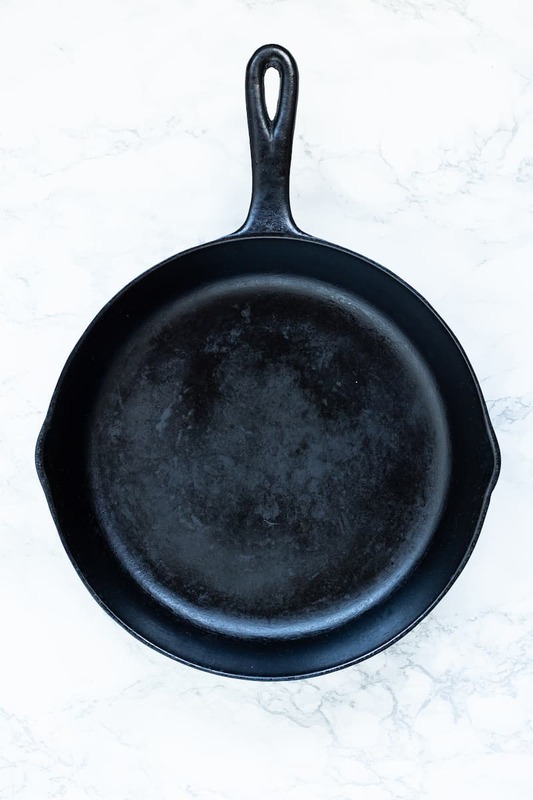 Don’t clean cast iron with soap: just rinse it with hot water and a clean washcloth as soon as it’s cooled down, and scrub off any schmutz with plain old kosher salt. If you’re an instant gratification type of person (or the kind of person who’s not into hunting down cast iron treasures in antiques stores like I am! ), you might prefer enameled cast iron as your safe nonstick cookware of choice. Even if you’re not a seasoned cook, you’re likely familiar with the Crayola-colored enameled cast iron Dutch ovens that so many of us use for braising and simmering. Le Creuset is the most well-known French brand of these ovens, but for the best enameled nonstick finish, I’m throwing my hat in with another French company: Staub. The smooth black interior finish of a Staub frying pan is enameled wizardry, I tell you. It’s forgivingly nonstick—far superior to the matte black finish of the Le Creuset skillet in my eyes—and sears like a dream right out of the box with no pre-seasoning required. You’ll pay a little more for the privilege of a ready-to-cook finish (about $100 more), but you’ll also be able to clean this one with soap and Bar Keepers Friend, if desired. Caveat: enameled cast iron is heavy, with the 12-inch Staub fry pan pictured pushing 7 pounds (yeah, I weighed it). I keep my potholders at the ready and view my use of this pan as a chance to build my upper arm strength. Carbon steel pans are a lesser-known but equally powerful member of the safe nonstick cookware lineup. 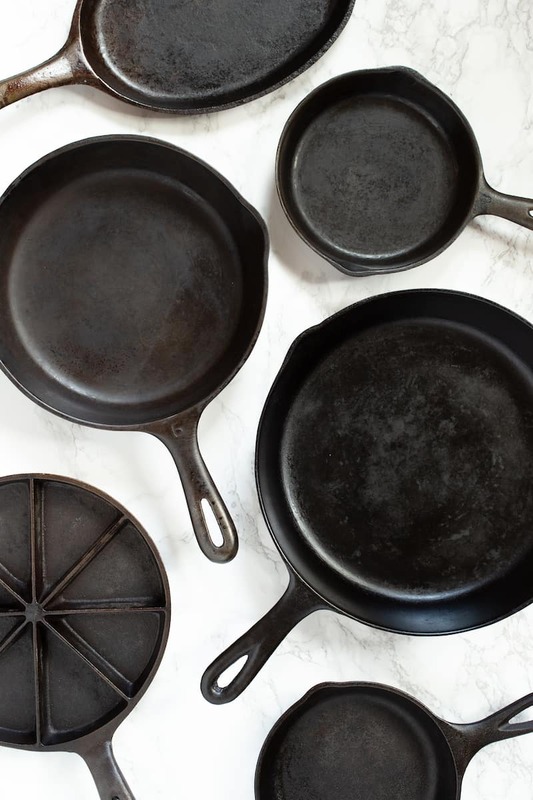 Like cast iron, carbon steel develops a naturally nonstick patina after a quick oil seasoning. Because it’s made from metal sheets, the initial surface of a carbon steel pan will be smoother than that of a brand new, slightly bumpy cast iron pan. This is also why carbon steel pans can be slightly lighter than its cast iron. Carbon steel also heats up more quickly than cast iron—crucial for those 5-minute breakfasts—and cleans up simply with hot water and a swipe of a wet washcloth. Again, no soap is needed to wash this pan; once the seasoning is built up, the pan deglazes easily and a kosher salt scrub removes stubborn stuck-on food. I own two DeBuyer Mineral B Element pans and love them both; they’re great for shallow frying and quick grilled cheese or quesadilla lunches. Carbon steel is also frequently used for metal woks, should you be in the market for one of those as well. I have one ceramic pan in my arsenal: the cast aluminum AnyPan. And while it meets the definition of safe nonstick cookware, I can’t wholeheartedly recommend it more than the three options above. The pros of ceramic cookware: it’s very lightweight and heats up incredibly quickly. The cons: though it’s oven safe, like all ceramic cookware, it should not be heated over high heat on the stove or over 525 degrees in the oven. It’s a small caveat, but one that I don’t want to worry about if I happen to be cooking on my grill or over a campfire. For those times, I’ll go back to my trusty cast iron pans. I can’t speak to Scanpan, GreenPan, Bialetti, or other anodized aluminum cookware, as I don’t own any pieces. If you’re interested in this type of cookware as a natural nonstick alternative, click over to Simple Bites, another trusted resource, for a review of Scanpan’s features. What to do with your old nonstick pan? 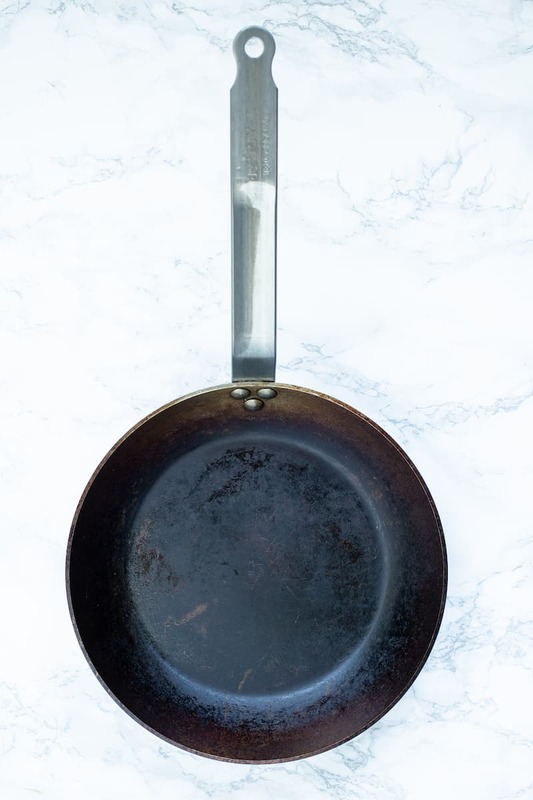 When you’re ready to get rid of your old nonstick pans, please don’t just throw them in the trash or donate them to Goodwill—if it’s not safe enough for you to eat on, why would you let someone else cook with it? Just take them to your local scrap metal company for recycling; they’re more than happy (well, also amused) to melt them down.